The method of improving the positional accuracy of the airborne vehicle that moves along a great circle path is considered due to the analytical three-dimensional projection of its current coordinate position, determined from the measurements of the satellite navigation system under the conditions of high-amplitude noise to the true guide path. Original Russian Text © I.N. Rozenberg, S.V. 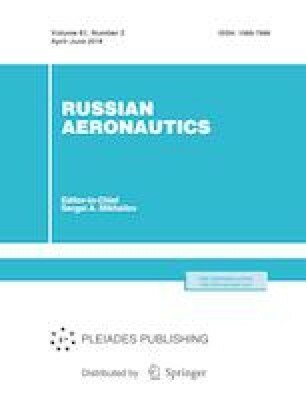 Sokolov, A.A. Bayandurova, 2018, published in Izvestiya Vysshikh Uchebnykh Zavedenii, Aviatsionnaya Tekhnika, 2018, No. 2, pp. 64–70.